Holidays are great at any time of year but with the season in bloom in the UK at the moment, we've been thinking about chasing some proper sun and tropical climates across the world and we're sure you have been too. But where do you choose for your next adventure? 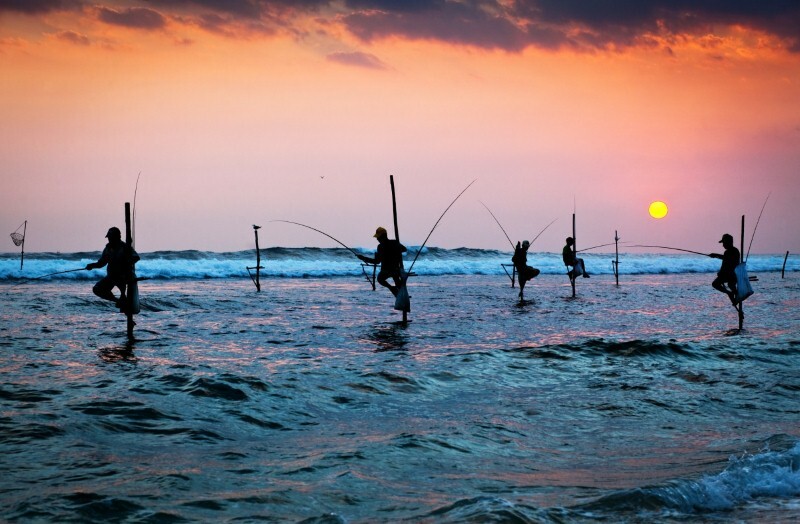 Well, this month we're looking towards the excitement and exoticism of Sri Lanka, a beautiful island in south-east Asia, which shares maritime borders with the Maldives. Buddha statues, temples and cave paintings. If you like to keep active when you're on holiday, then we highly recommend that you go for a nice long hike. There is a particularly enjoyable four-hour trek that will take you through leafy plantations of Ceylon tea – there will be many chances to stop for pictures or just appreciate the breathtaking views. Other amazing sights include the animals that inhabit the island and its surrounding waters. If it's the right season, you can dive with blue whales and see spinner dolphins leaping out of the sea. There are also nearly 6,000 wild elephants that call Sri Lanka their home, and you can even volunteer at an elephant sanctuary to help take care of these beautiful creatures. When it comes to accommodation in Sri Lanka, you're spoilt for choice, including lots of new and luxurious boutique hotels and beach resorts. Some of these hotels even have their own private beaches if you're keen to find peace and quiet on your time away from home. For a truly one-of-a-kind experience book into the Kumbuk River eco-lodge, which is famous for having a luxury villa in the shape of a 40 ft elephant. It's set against the banks of a river on the edge of Yala, the island's premier wildlife sanctuary. The resort itself is small, as there are only two other chalets besides the elephant centrepiece and it's possible for one group of 12 people to reserve the entire resort. Festivals are another prominent feature of Sri Lanka's culture, as its event calendar is filled to the brim with full-moon and kite festivals. The former – known as Poya festivals – celebrate the full moon with a Buddhist reflection and the most elegant and calming of these is the Poson Poya in June. Attendees dress completely in white and make a pilgrimage to the sacred mountain peak Mihintale to set lanterns alight. Such are the popularity of kite festivals that there is an official National Kite Sri Lanka Organisation. If you care to see one of these for yourself, you'll be able to ask anyone where you're staying for some more information on particular dates, as they're on frequently. However, you can see colours dancing in the sky just about any time, as locals take to beaches like Galle Face beach to fly kites as an everyday recreation.